Is the Renault Duster hurting Nissan Sunny sales? The Renault Duster has become quite popular among buyers in India in a short span of time. It seems to have caught the fancy of many buyers who wanted an affordable compact SUV rather than a sedan. Renault has succeeded in marketing the Duster and luring in those who would have opted for sedans had the Duster not been around. The Sunny and Duster though vehicles from completely different segments have one thing in common; their prices. Not that the cars are directly pitted against each other, just that some variants of the Duster are priced close to the Sunny. The Renault Duster 1.6 petrol RXE for example is priced at Rs.7.49 lakh which only Rs.42,000 more than the Nissan Sunny XL petrol priced at Rs.7.07 lakh. Similarly the Duster diesel RXE 85 is priced close to the Sunny diesel XL variant. During the four months prior to the Duster launch, Nissan sold an average of 2951 units of the Sunny each month. The Sunny managed a highest sale of 4,151 units in March 2012 (during the same 4 month period). The four months after the Duster was launched (July-October 2012) Nissan sold an average2,055 units a month; a drop of almost 900 units! In July the Renault Duster sold 1,194 units against the Nissan Sunny’s 2,436 units. This number crept up to 3,184 units the very next month (August) as against the Nissan Sunny’s 2,757 units. By September this number for the Duster reached 4,211 units which was twice the number of units Sunny sold (2,023 units). 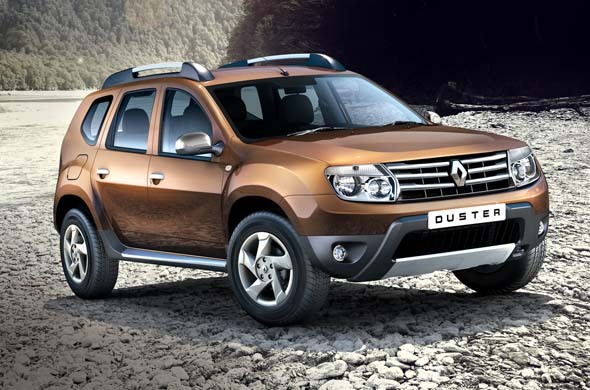 Now in October the Duster’s sales figure stand at a healthy 5,406 units compared to the Sunny’s 1,007 units. The Renault Duster now sells an average of 3,498 units each month as against the Sunny which sells roughly 2,000 units each month.